How many Shares of electricity would my smartphone use? I’ve always had a dream of living “off the grid”. As this project matured, I realized that it wasn’t “The Grid” that I didn’t like; it was the “Grey-Power Grid” that I didn’t like: the big coal-fired, or diesel-powered, or even nuclear-powered power. I hated that I HAD to buy dirty power. It was a monopoly, the only show in town. It felt like mankind was “doing it wrong”, since we are surrounded by free power all around us. We just needed to figure out how to use it. Now, in 2013, we finally have a way to say “No!” to “Nuclear-Powered Lightbulbs”. It’s easy. It’s cheap. It’s fun. We can participate in it ourselves, playing our way through the dry business of generating, delivering, conserving, using, selling – and all of the fun social things like selling, buying, inventing, dreaming, talking, dreaming…. It’s designed as a business that almost anyone can buy, build and enjoy. We love inspirations from people within our circles. The other day, I received an email from a Shareholder who pointed out that some designs we made were, and I quote, “u-uh-ugly”; the font was all wrong, and he sent me some fantastic design work. I wrote back, saying “You’re hired.” and paid him three Shares on the spot. I hope he keeps the tough love flowing; great talent is always, always welcome. If you have to be on a computer, smartphones prevail as an energy-efficiency winner when it comes to the way we send an email, watch a video, or share a family photo (sorry, digital photo frames). 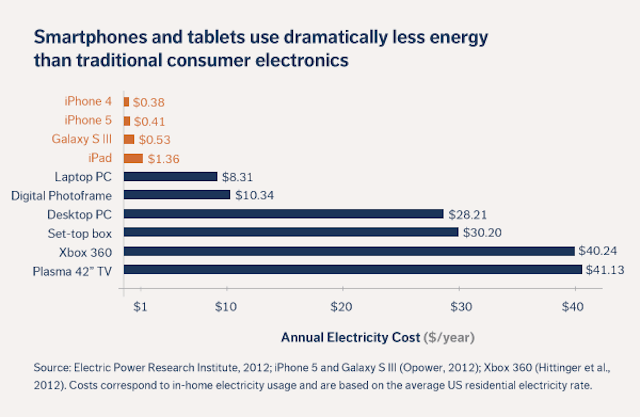 Put simply, a day spent web-surfing and facebooking on a smartphone or tablet is a much more energy-efficient day than doing the same on a traditional computer. 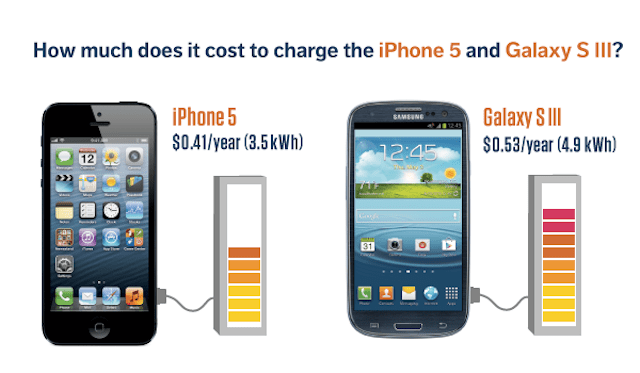 The Lazy Calculation: Given that a Share is about $50 of power over 10 years, or roughly $5.00/year , and your cell phone consumes less than $.50/year, you could power 10 cell phones’ equivalent over the lifetime of the windmill. If that’s 20 years (conservatively), that’s 200 cellphone-year equivalents for a $50 WEB share. WOW. I can hand 10 of my friends a sticker that says ‘Powered by WIND’ for every Share I buy, and still be WELL within my energy quota. I could probably estimate that a cell phone’s average lifespan is 4 years, and that would mean 50 stickers given away – but that’s assuming that our numbers are exact; we don’t want to give false impressions, so we’d say that it’s 10 cell phones per $50 Share. You’ll need to wait till next month for the full article, but I’m using that little blurb because we’re giving our Shareholders a little gift that keeps on giving: We’ve designed some little stickers that you can print out yourself to give to your friends. If you’re reading this you probably own a share, so you can already put stickers on 10 friends’ phones, since you’ve offset their ‘grey power’. Go nuts. (You’ll find your stickers in your WebFolder, under Media). Or email windenergybreeder@gmail.com if you’d like me to send you 10 stickers. I’ll send them to you for free. I love stickers. That’s what I mean about sharing a dream. It’s pretty cool.